Aviaries shelter birds in all sizes, species and colours. 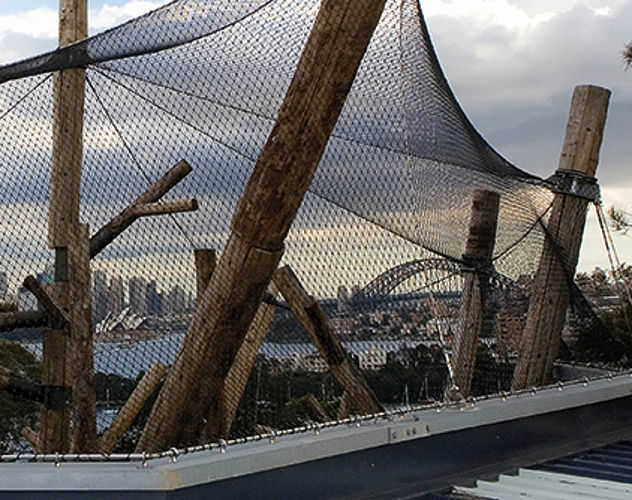 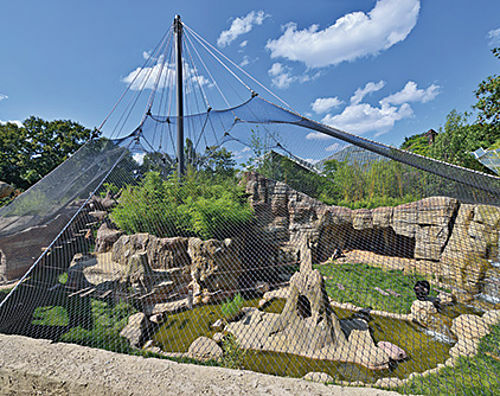 With the help of locks it becomes possible to create freely accessible free flight aviaries what enables zoo visitors to get as close to the animals as possible. Monkeys are real climbing artists. To create a living area as species-appropriate as possible, many climbing possibilities have to be included. 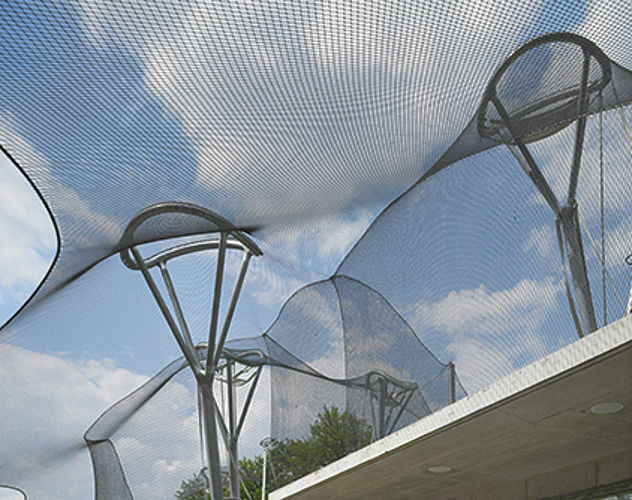 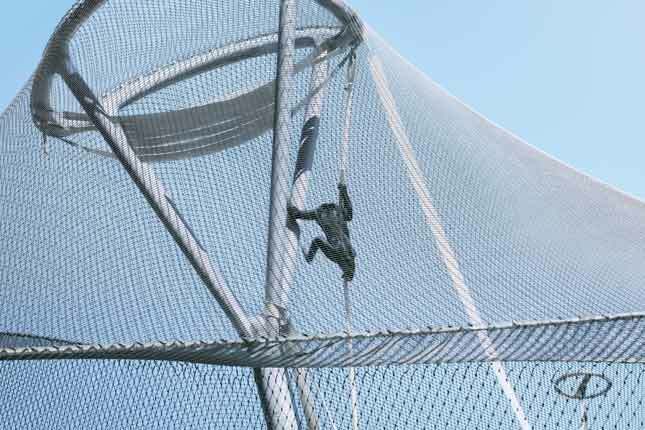 The supporting structures and stainless steel cable mesh solutions by Carl Stahl Architecture can protect and serve as climbing objects at the same time. 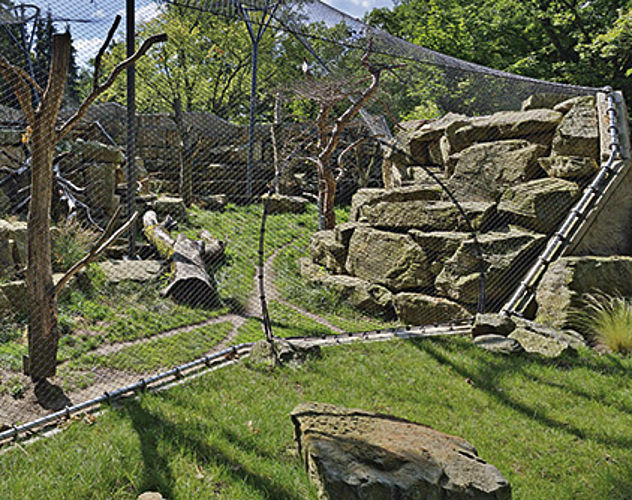 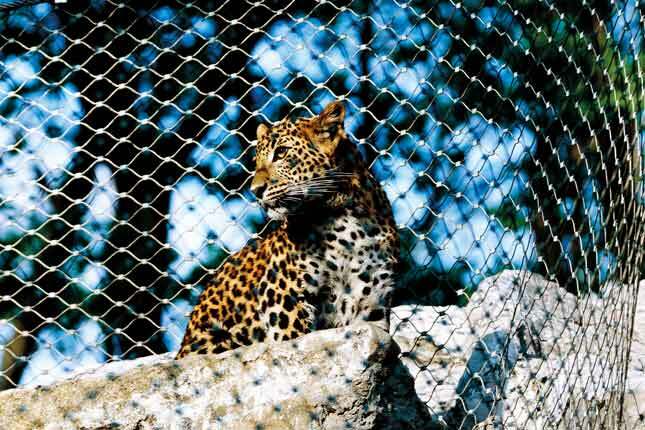 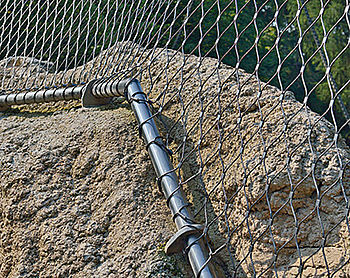 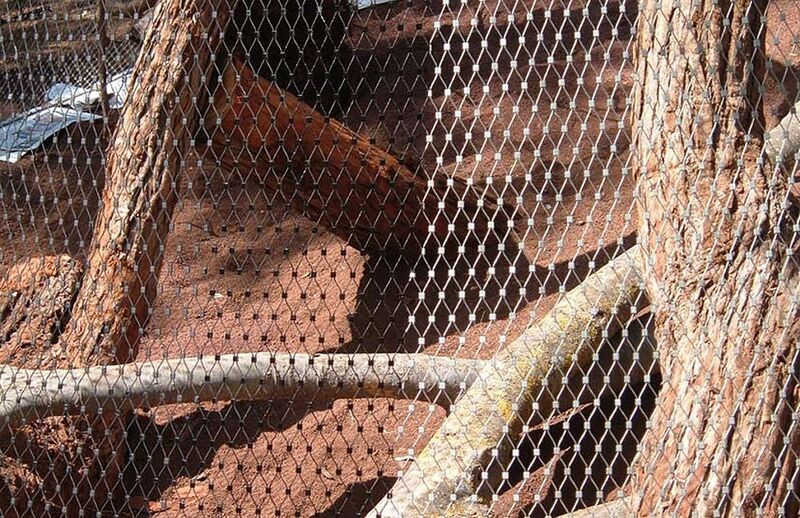 Regarding zoo enclosures, the X-TEND stainless steel cable mesh does not only take a protecting function. Beneath pylons and I-SYS stainless steel wire rope assemblies, it is an important part of the supporting structure. To ensure stability of the overall construction, a complete static evaluation has to be done taking into account occurring loads such as impact loads and mesh tension. 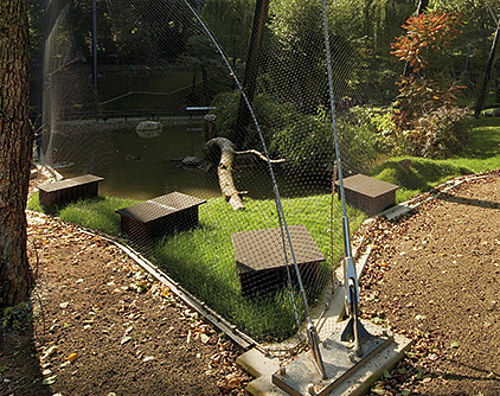 If you are interested in our products and the different possibilities of designing individual zoo enclosures, we offer free first consulting and budget check. 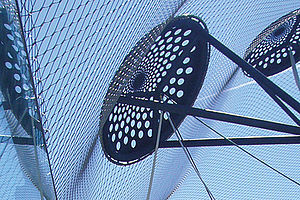 After conclusion of a contract, the final development of drafts and system, support in planning around the project, realisation planning, creation of a catalogue of services as well as workshop planning for cables, meshes and steel construction and finally installation planning are part of our service portfolio in planning phase 2. 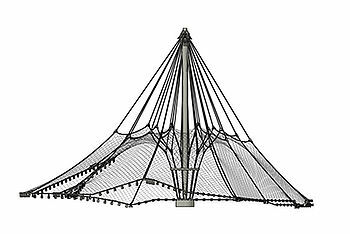 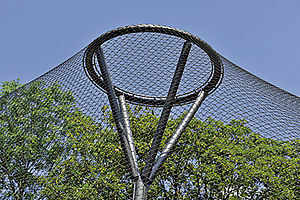 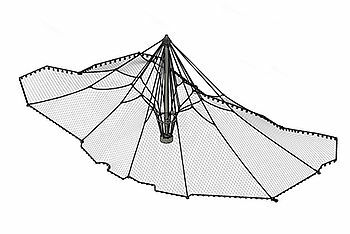 As the mesh is part of the carrying structure, a complete auditable static calculation for matching of all single components on each other is necessary. 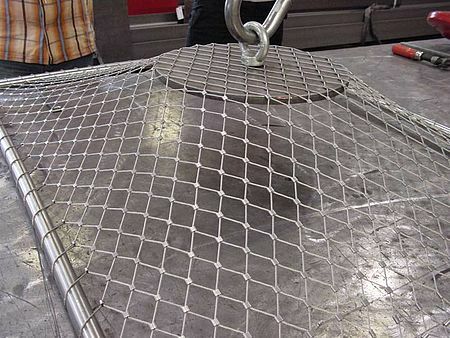 Evaluation of cable and mesh loads, connection forces and supporting loads as well as a final form finding of the stainless steel cable mesh are part of it. 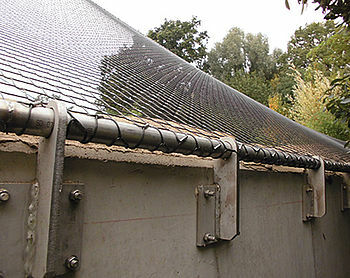 We offer the complete installation on site by our trained installation team. 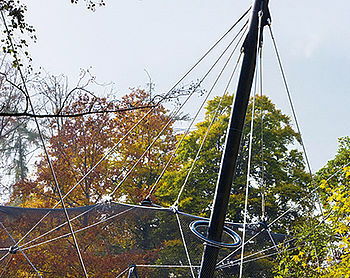 If wished, also the installation of steel constructions can be coordinated and realised by us. 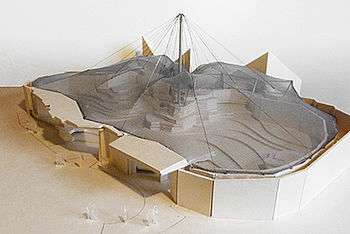 Also after project completion we are likely to rest at your side. Concluding a maintenance contract, a yearly check in form of an on-site inspection and visual control and where possible a function control are done. 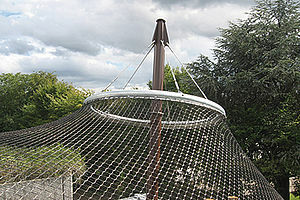 Afterwards, you receive a written review including assessment and photo documentation. Our products are high-quality and durable. 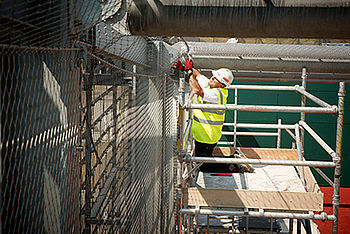 If damage occurs anyway we offer the possibility of repairing it by our professional installers. Normally, little damages can be fixed directly at the mesh or by changing a mesh field. 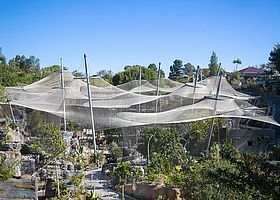 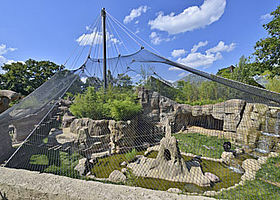 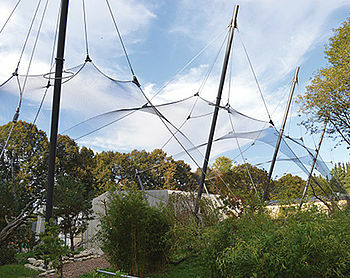 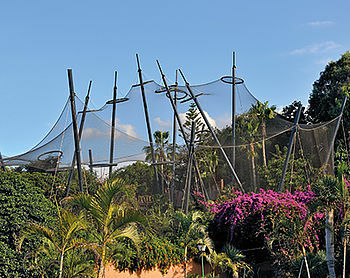 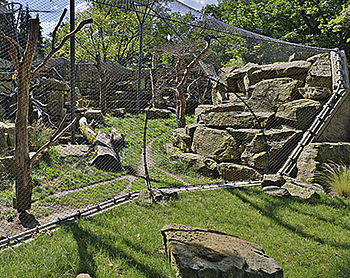 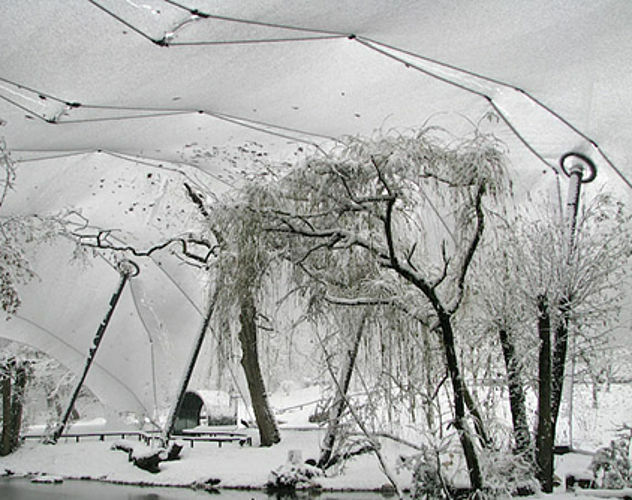 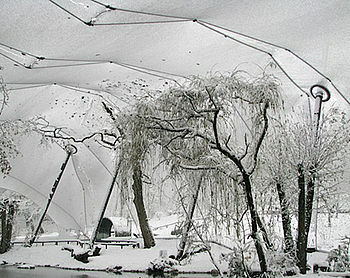 Changing the whole mesh is especially for zoo buildings unlikely and has to be done only when huge surfaces are damaged. Cable based carrying structures contain stabilising and shaping cables that are integrated into the mesh structure. Like this, huge span widths are possible and a reduction of the steel grid structure becomes possible. 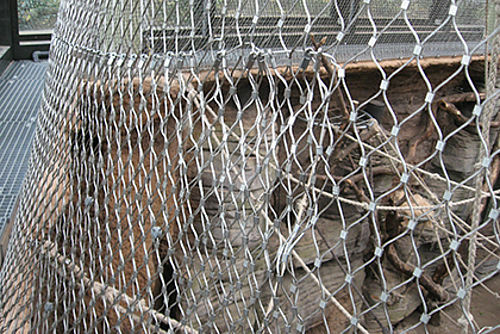 That means that fewer posts are located in the enclosure. Therefore, the flying area of the birds in aviaries is less limited than in cable free structures. 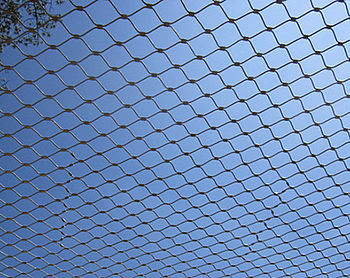 In cable free constructions, cables are only used for suspending the mesh, as border cables for fixation on the floor and if necessary as connection between roof and wall mesh. 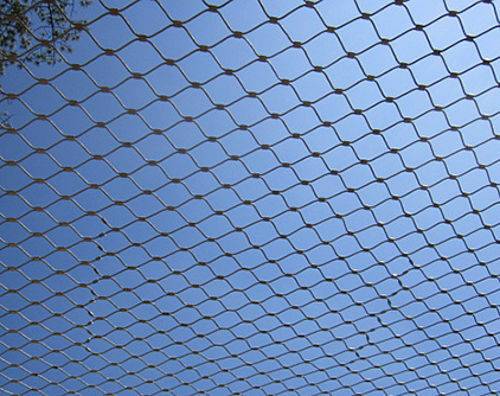 This brings the advantage, that there are no visible cables in the mesh surface. To reach a sufficient stability, more steel supports are necessary. 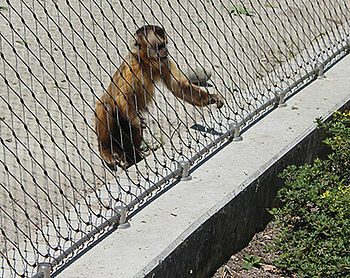 In monkey enclosures they can be used as climbing possibility at the same time. Realising ground connections with border tubes, little distances between border tube and floor can be realised. 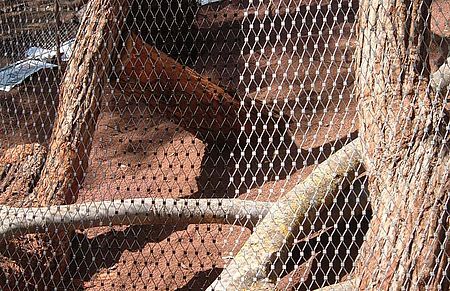 This makes accessing the zoo enclosure more difficult for rodents. 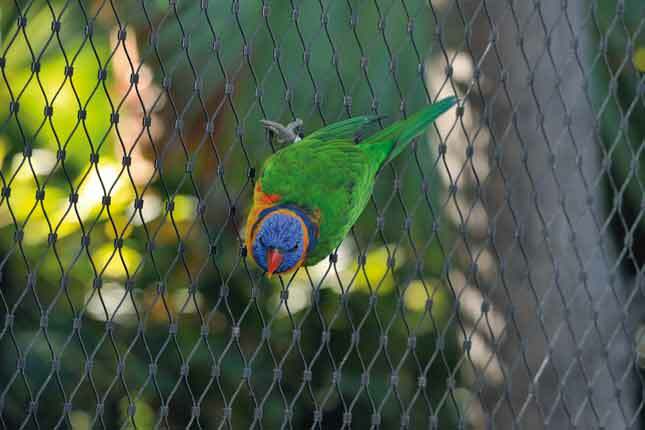 This is an important issue for protection of birds. To avoid a deformation of the tubes due to the mesh tension, a sufficient dimensioning has to be considered. Border cables bring the advantage that they can adapt even to rough terrain easily due to their flexibility. The ground connection can realised in various executions. 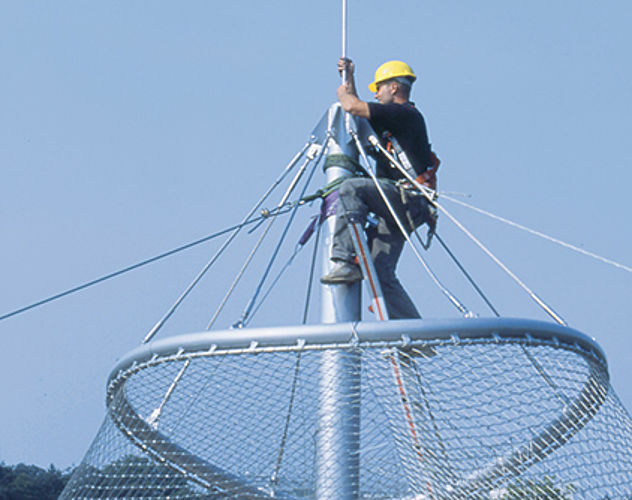 Connections with forks, ways-eyelets, brackets, screw-on clamps, eye nuts, cross clamps or cable guides offer the fitting solution for all individual cases. 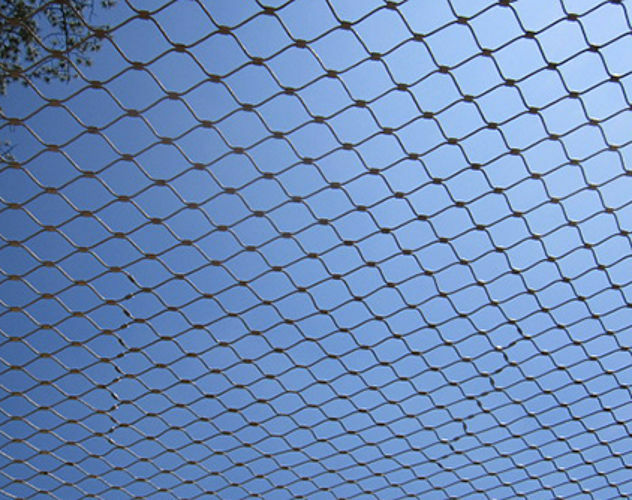 Depending on cable diameter and mesh width, our stainless steel cable meshes reach transparency values from 82 up to 97%. 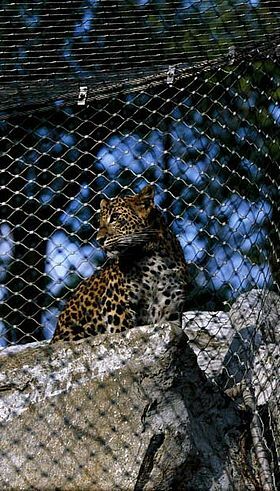 With the help of black coloration of the meshes the transparency can be enlarged optically as the mesh melts together with the environment and offers almost no limitation regarding the animals. Our ropes and mesh are regularly tested internally and externally. 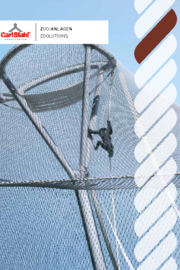 As part of the European Technical Approval (ETA), a continuous production control according to a test and monitoring plan, as well as regular monitoring by independent testing institutes is given. 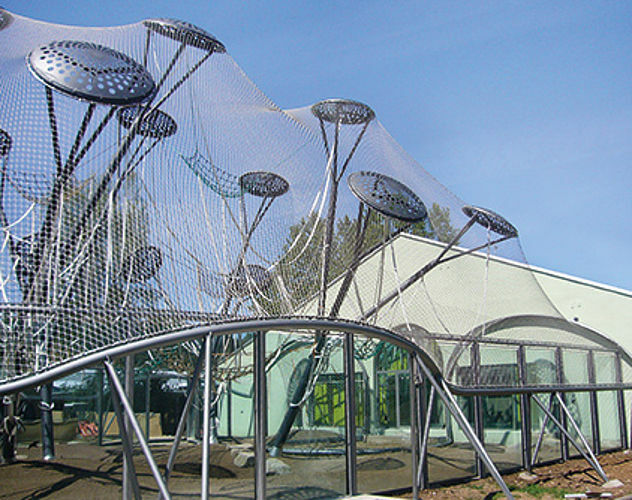 Based on the ETA, our products can be used for a variety of structural applications without further testing.